It’s 2018 and technology is a growing organism that seems to getter better with time. With technology being as alluring as it currently is we can begin to see how easily the youth can convert and how the original concept of being active loses its zest and flavor. Technology, among other things, are very helpful within our everyday lives and it’s easy to sell our children to these alternative methods of activity. People think that it maybe too late to try to attempt the organic ways of being active, however like anything becoming part of a culture it just takes a little bit of time and effort to change it. Being the adult or parent in the family is a pretty big deal, automatically assumed with the position you are given the role of a role model, you are a person your child is looking up to and the traits you exhibit the most are likely to be the ones they will go on to emulate. Prefacing with that statement, since quite a bit of the culture at home comes from what you allow and portray, a big part of the culture movement to an active lifestyle falls on your shoulders. “Be the change you want to see, ” is a quote from Gandhi used widely when it comes to producing change in life so this is where we start. 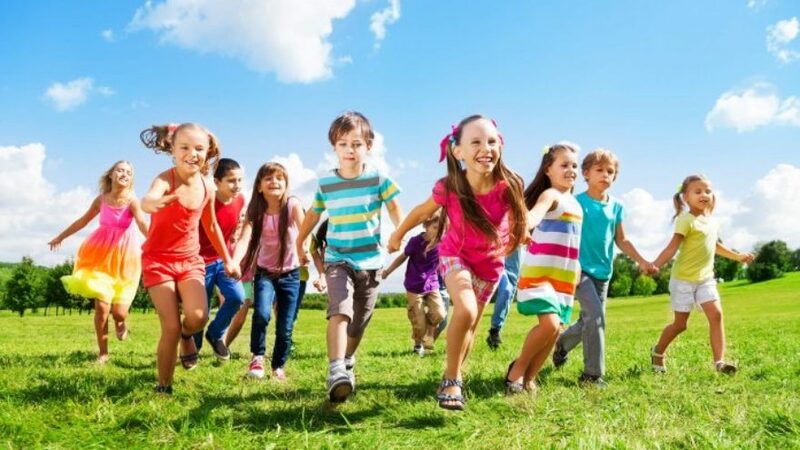 When it comes to getting kids active it comes down to how active you are, if you are already active this step is a little bit easier, however if not this is where the initial change in the culture dynamic has to start. When the children began to see the adult being active and when the emotions from those active actions are viewed as genuine by the children, they will be intrigued and inclined to partake of whatever it is you are doing, once we have them on the hook it’s time to reel them in. Below we will go over a few good activities to get kids involved and active as opposed to being consumed by technology. Before diving into the elegance of all that can be done to be active with our kids and drowning them in the possibilities, it is best to start with a more simple task before overwhelming them and sending them to withdraw to their previous habits. One of the smaller activities would be walking. Also encompassed in walking are cycling, skating and the use of scooters. Walking is a great starter because it is a low effort activity that can yield a high reward. Some positives of walking are that it can be fun and interesting. Whether it’s a route in the neighborhood or a trail through the woods there is a multitude of sightseeing and things to discover and rediscover through the adventures. In addition, walking together can give you actual bonding time with your children and allow you to communicate and gain a deeper understanding of them while also allowing the children to develop better social skills. With better social skills your child can gain friends and potentially have their friends join your walks, as well as they, can go on walks together. These aspects are great, but of course, the overall goal is to get our kids active and this is a nice beginning alternative. Another alternative to look into while trying to get our kids to be active is gardening. While gardening can seem to be an overwhelming endeavor the goal is not to become a large-scale operation, we are still about starting small. So with starting a garden for beginners it is best to use easy-to-grow flowers and produce like sunflowers and sweet peas. Not only will this small garden get your child active, but it also allows them to interact with nature and begin to understand nature’s processes. From a psychological approach the child will understand what it is to care for something “living” and something that develops over time. They will uncover a self-satisfaction within themselves as they understand they created and aided in the process of something beautiful. Beyond emotionally what your child can obtain from planting, the simple actions of planting and tilling will help in physical development and increase fine motor skills. Educationally, planting will instill small basic concepts of math by measuring water and soil given to the plants, as well as biology from the plants growth. Even geology and meteorology are learned from how the environment and temperatures can affect their garden. Most importantly the objective of this task is to get your child active and this is surely something that will have them coming back to often. If you know your child likes to be challenged we can step into more stimulating activities like crafting. Crafting is a great intermediate to advanced activity that can produce endless opportunities of creation from an awesome birdhouse and bird feeder for the neighborhood birds to a treehouse built for your child and their friends. Within the developmental skills your child can develop and nurture is following directions. This can help them to understand that many things have certain order or procedure that should be achieved for the best results, however this should not impede on their creativity but help them obtain a better process for decision making and problem solving thus giving them the confidence in their own choices when deciding what to do away from crafting. Another attribute gained is the concentration and focus skills needed for each task of the process. Your child learns to concentrate and mitigate distractions while mastering the use of hammers and nails and other building and crafting materials and continues to build on their motor skills with those actions. Patience, a virtuous skill attached to crafting, can also be learned. Though following instructions in the correct order is needed it is not everything, waiting for paint or glue to dry, or even the weather to settle for ideal building conditions can instill the importance of patience. It is easy to forget about other people in this world and some do not know the importance of giving back, this leads us into our next activity; volunteering. Volunteering helps foster empathy. Empathy is an important mentality when it comes to reacting to the needs of others. Your child may understand that there are people that need help around the community or things that can be done to make the community better but they don’t know how. Volunteering can provide experience and affirmation that they could actually make a difference in the community or someone’s life to help develop a sense of self efficacy while also getting them off the couch and active. A great way to gain social skills is to learn them from social situations and interactions. When people come together and cooperate in a meaningful engagement it’s a great way to gain social experience in a positive environment. Volunteering is really an undervalued activity though it does so much for the individuals participating and for the recipients. As we can see there are several alternative activitiesthat you and your children can participate in that differ from the typical athletic sense. Though there are a few activities listed here, the list is far from complete. 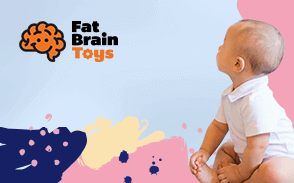 However, activities should have some common building blocks in assisting your child with physical and psychological development in some capacity. Do not forget that activity starts with you, so lets actively encourage our youth to get up, get outside, and get active, even if it isn’t necessarily working out, there are many alternatives that can be appealing to the non athletic type.